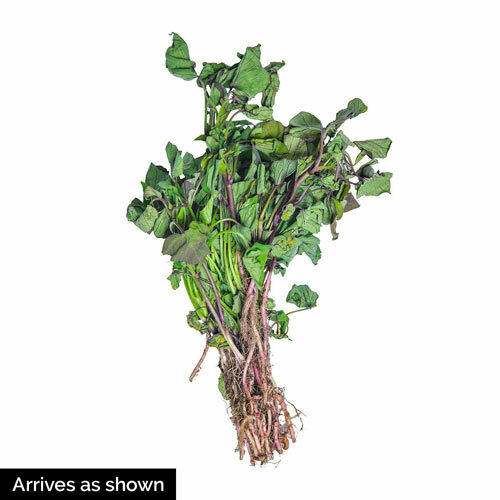 O'Henry Sweet Potato | Gurney's Seed & Nursery Co. The moment we tasted this one, we were hooked! Golden flesh is smooth and stringless with the rich flavor of nuts and honey. Sweet and aromatic, O'Henry is slightly drier than other sweet potatoes and bakes up perfectly. 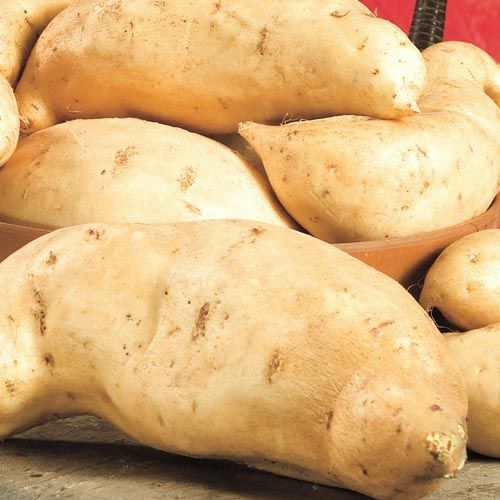 High-yielding plants produce huge, cream-colored tubers in a compact cluster underneath the plant for easy digging. 100 DAYS. Spacing12 - 18 inches apart in rows that are 3 feet apart. ColorFlower color violet-pale pink. Tuber color cream-tan. FruitTan skin, creamy gold flesh. Soil RequirementsWell-drained soil with some organic matter. CommentsQuick maturing. Extremely high yields and little cracking. Fertilize prior to planting and 3 - 4 weeks after. Cultivate to keep vines from rooting where they touch the ground. Harvest immediately if nipped by frost in the Fall. Cure 6 - 8 days at 85 F and 90% humidity after harvest. Store at 55 - 60 degrees F. and 85% humidity. DepthSet plants 2 inches deep into the soil, firm and water well.